Calvin Scott, 18,of Upper Queen Street, was arrested yesterday (Thursday) and charged with six drug related offences. 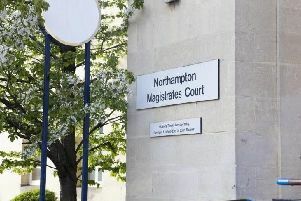 A Northamptonshire teenager is to appear in court after being charged with a number of drug offences. Calvin Scott, 18, of Upper Queen Street, Rushden, was arrested yesterday (Thursday) and charged with six drug related offences. He has been charged with two counts of possession with intent to supply Class A drugs, two counts of supplying Class A drugs, supplying cannabis and possession of cannabis. The arrest came as part of Operation Worcester, a police drive to tackle drugs and firearms offences in Wellingborough and East Northamptonshire. He will appear before Northampton Magistrates’ Court this morning.